This high performing and beautifully detailed polo shirt has been made from a tech performance fabric to keep you on top of your golf game. This tech performance garment is lightweight and breathable, and has moisture wicking properties to keep you dry with less distraction. Plus has a blend of performance enhancing stretch to give the wearer greater mobility and comfort. 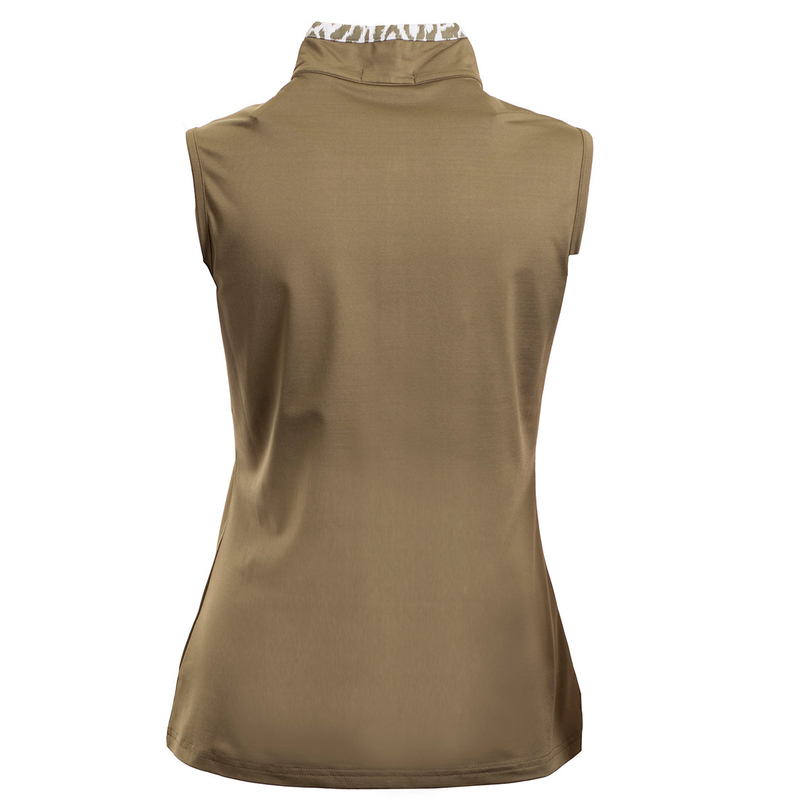 The sleeveless design features a beautifully detailed high collar, with a khaki leopard print trim throughout and a faux pocket feature on the chest . Finer details include an oversized crystal stone Lamb logo on the left chest and has bra clips at both shoulders to keep straps in place. The garment is machine washable @ 30⁰.